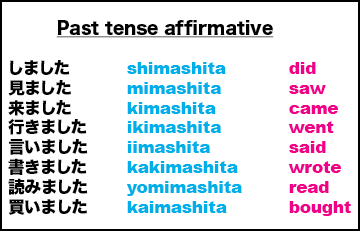 Today we learned about polite past tense verbs in Japanese! 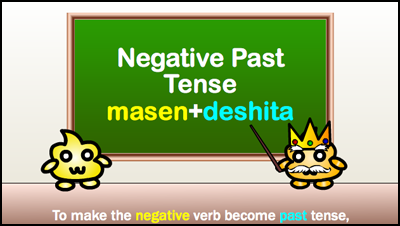 We learned how to change verbs from present, ます (masu) to past, ました (mashita)! 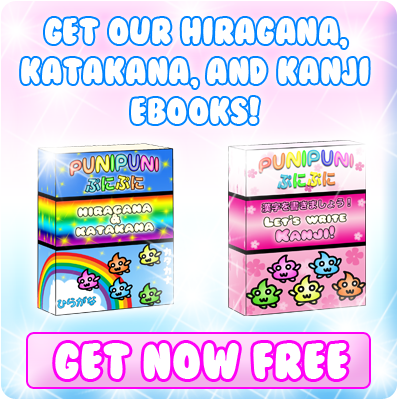 In this review we will go over the concepts from the video and see some more examples. 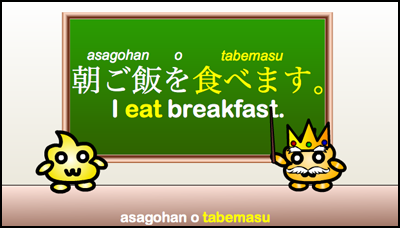 ★　Last time we learned about the polite non-past form of verbs, also known as the ます (masu) form. 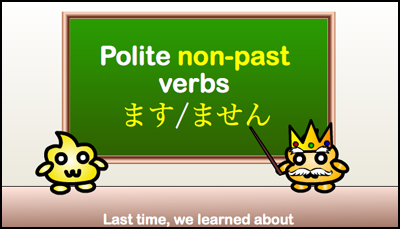 ★　Today we learned about the polite past form of verbs. ★　Verbs in this form end in ました (mashita). 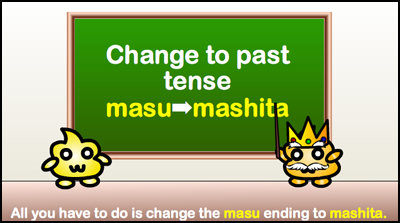 ★　To change a verb from present to past tense, just change the ます (masu) ending to ました (mashita). 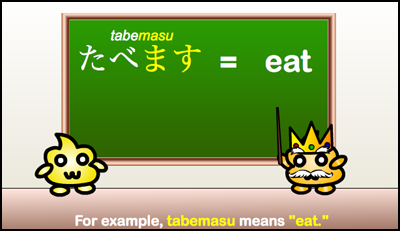 ★　たべます (tabemasu) means “eat” in Japanese. 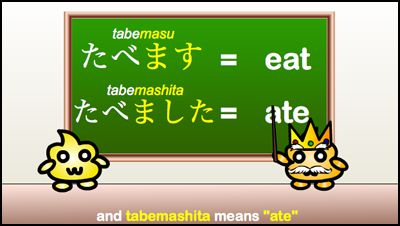 ★　たべました (tabemashita) means “ate” in Japanese. 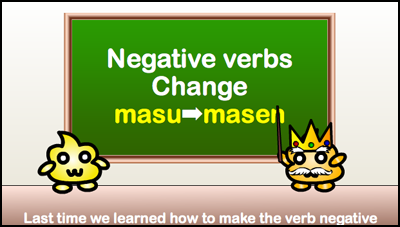 ★　Last time, we learned how to make the verb negative by changing the ending ます (masu) to ません (masen). 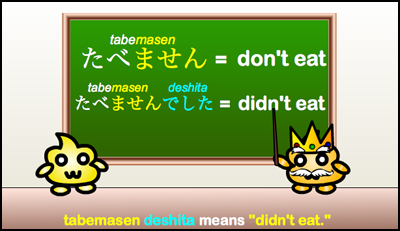 ★　To make the negative past tense, just add でした (deshita) to the end of the negative verb. ★　たべません (tabemasen) means don’t eat. 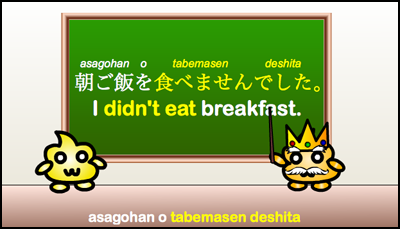 ★　たべませんでした (tabemasen deshita) means didn’t eat. Kyō wa gakkō ni ikimashita. kanojo wa pātī ni kimasen deshita. She didn’t come to the party. 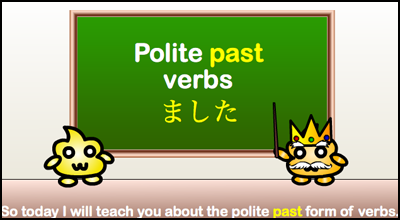 Today we learned about the polite past form of Japanese verbs. 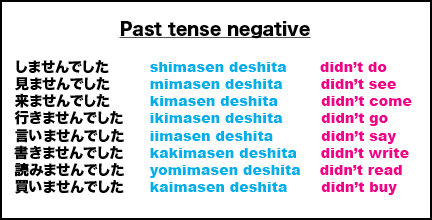 We learned how to change a verb from present to past by changing the ます (masu) ending to ました (mashita) for affirmative verbs, or by changing ません (masen) to ませんでした (masen deshita) for negative verbs. how can i change this into a question? 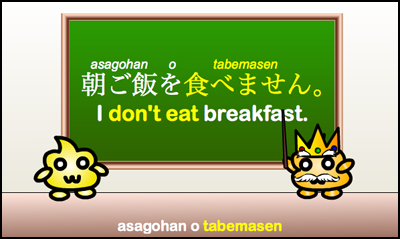 is it “nande asagohan o tabemasen ka?” or is it “nande asagohan o tabemasen deshita ka?” or is it doushite rather than nande? and how about if i want to change the statement from don’t to can’t? how to say ‘i can’t eat pork because i’m a muslim’?